Quite a few cryptocurrency-oriented projects focus on digital assets rather than just cryptocurrencies. That is only normal, as we have seen dozens of new assets issued on top of existing blockchains over the years. Bytom is one of those projects which wants to focus on transferring assets from the atomic world to the byteworld. It may not make much sense at first, but it seems there is plenty of merit to this project. Building an interactive protocol of multiple byte assets is not something most people will worry about all that much. 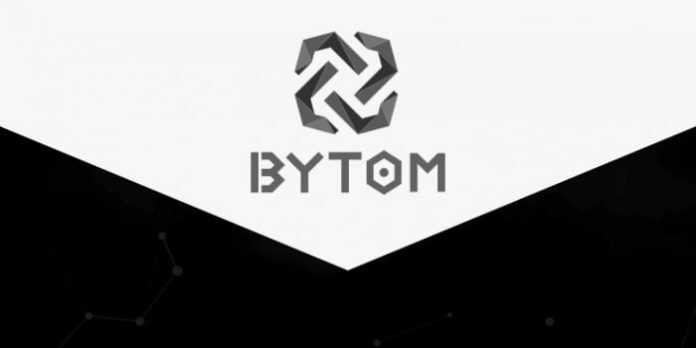 Looking a bit more into this project, it becomes evident Bytom focuses on creating heterogeneous byte-assets which operate in different forms on the Bytom blockchain. Additionally, there’s a focus on atomic assets – dividends, bonds, etc. – which can be registered, exchanged, and engaged with in the form of contract-based operations using Bytom. Bridging the gap between digital information and real-world information is a noble venture, assuming there is a market for it. So how does Bytom Work? It is evident that Bytom is one of the more technical projects in existence right now. There are three different layers: a data transaction and transmission layer, the contract layer, and the asset interaction layer. Moreover, the Bytom blockchain uses a general address format which supports multiple currencies. Similar to most other cryptocurrencies in existence, a combination of public and private keys allows users to store their assets in a safe and secure manner. Assets issued and digitized on the Bytom blockchain are named using the Open Data Index name system, which should help make their names unique enough. Bytom’s blockchain also separates transaction signatures from the rest of the data in a given transaction. This sounds similar to how Segregated Witness works for Bitcoin, although it is unclear if the team developed their own code from scratch in this regard. Moreover, the Byton UTXO model can verify transactions in parallel to ensure unspent outputs can only be quoted by one transaction at any given time. It’s an interesting way to protect against potential double-spends, which are always a worrisome part of any cryptocurrency project. Last but not least, there is the concept of cross-chain asset distribution. In the case of Bytom, developers can create a smaller side chain which remains linked to the main chain. This allows them to benefit from the main chain’s security while still retain full control over how they issue coins and dividends to users. It will be interesting to see if businesses take a liking to this option. Blockchain will make a big impact on every industry, but it remains to be seen how this will affect Bytom’s chances of success. What’s Next on Bytom’s Agenda? There are still many aspects of Bytom which have yet to come to fruition. Firstly, the team will focus on improving the governance model of the Bytom ecosystem before the end of Q1. Later this year, we will see the official Bytom blockchain released to the public, although there is no official release date as of right now.